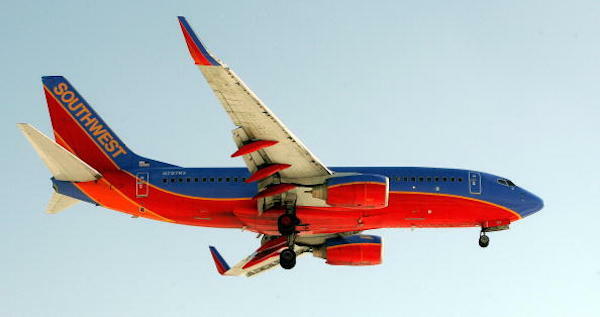 A Southwest Airlines plane slid sideways while preparing for takeoff from Baltimore–Washington International Airport on Wednesday, according to the U.S. Federal Aviation Administration (FAA). There were no reported injuries to the plane’s 143 passengers and six crew members, the carrier said, after Southwest Airlines Flight 906 slid while preparing to depart for Montego Bay, Jamaica. Video posted to Twitter showed passengers disembarking from the Boeing 737 jet as safety officials looked on. The FAA said in a statement that the plane remained on the taxiway and would be towed to the gate. The flight safety body said it would investigate the incident. “As always, the safety and support of our customers and employees remains our primary focus and we are working to get them on their way as quickly as possible,” Southwest spokesman Brian Parrish said. Pictures and video posted to social media showed heavy skid marks where the front of the plane slid to the edge of the taxiway. “Sliding into vacation the wrong way,” Instagram user Josh@cherrimanj wrote on a picture showing the plane’s nose pointed to a grassy area out of taxiway lines.